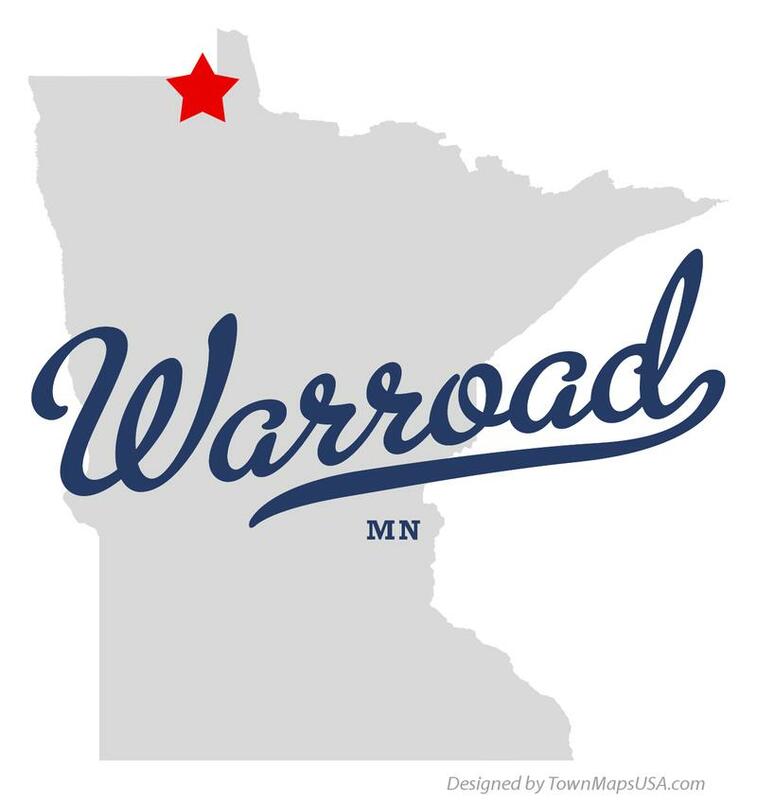 First off, both Allen and Scott moved from Grand Forks, ND to Warroad, MN! 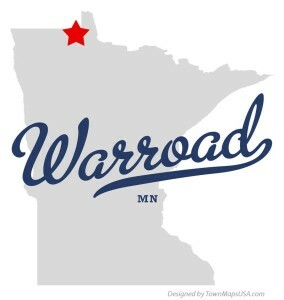 It was a no-brainer for us to switch teaching jobs and move to the shores of Lake of the Woods. That said, the move did make for a very busy summer and fall, and not much fishing happened once the school year started. We are finally settled into our new positions and homes up here, and hunting is just about wrapped up… just in time for ice fishing! Currently, Allen is prepping the sleeper house and the bomber for a busy winter, and Scott is readying his sled and portables for his guided snowmobile fishing adventures. 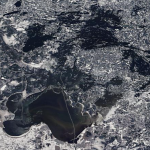 The ice is a little slower to arrive this year, with a just couple hundred yards of ice along shore on the main lake and the shallower bay areas like the Angle area are mostly ice covered. The long term forecast is fairly mild, so safe ice is a ways off yet. Ice depths are just a few inches in most spots. 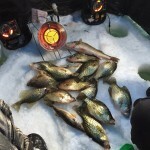 The DNR test netting this fall indicated good numbers of fish in most areas of the lake, so we should be looking at some great ice fishing this year once we can get out there! 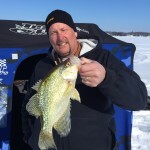 The fishing continues to be great at the Angle, but the ice and snow conditions have changed a lot over the last week. For those still hitting the ice, expect a strong walleye evening bite closer to shore around the Oak Island area, and a steady daytime bite deeper on the mud. 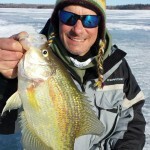 In Canadian waters, the crappies have been hitting well, and showing up in lots of areas. Expect to fill out in an hour or two if you are over a big school of them. Current areas like Buoy #50 are serving up good action on walleye and sauger, and if fishing near open water is not your cup of tea, then look along the edges of reefs and points during the day, and move shallower at dusk. There is no snow cover left on the ice, and the ice is starting to rot from underneath and on top. The bottom of the ice pack is not entirely solid anymore, and the water and slush are coming up the hole before the last 6″of ice is drilled through. 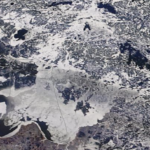 Most areas have honeycomb ice for the first 3″ to 4″ on top, and current areas are showing open water. All this change happened in the last week, even with daytime temps only reaching the low 40’s couple of times, and hard freezes most nights. Judging safe travel on the ice beyond this next weekend is going to be dicey. A lot of areas are unsafe already. 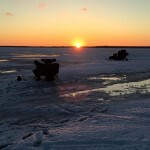 We have made the decision to put our ice gear away for the year, and are looking ahead to sturgeon fishing on the Rainy, and an early ice-out! The weather and the fishing are heating up at the Angle! 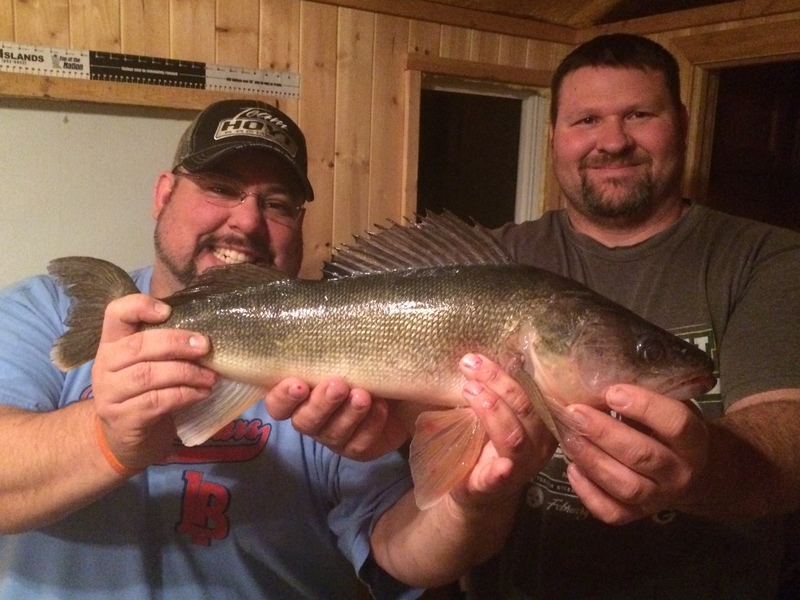 On the MN side, the evening walleye bite has been strong around the Oak Island area. Move a few feet deeper off the edge of structure for a daytime mix of walleye, sauger and perch. On the Canadian side, the bite is still going strong, and there has been some nice walleye mixed in with the crappies. We still have some snow cover on the ice, but it has melted down quite a bit. The ice sheet itself is still in pretty good shape, and should be around for a couple more weeks. Snowmobiles and 4-wheelers should be watching for deep water when following or crossing ice roads. The ice is bent downwards in spots, trapping the snowmelt. Use caution when running off-trail as well, we have seen some small open holes in current areas already. Fishing has continued to be productive at the Angle! The walleyes seem to be moving in toward the Oak Island area, and the evening bite has been pretty strong most nights. 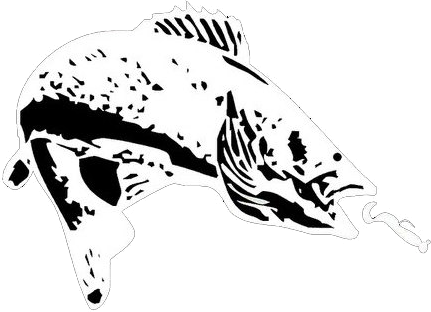 Expect a decent day bite for sauger and walleye on the mud just off of structure, with a few jumbo perch mixed in. 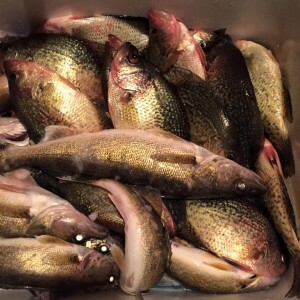 Canadian crappie fishing has continued to be good, and there have been some decent walleye catches coming in from that side of the lake as well. Over the last week, the weather has been extremely variable to say the least. 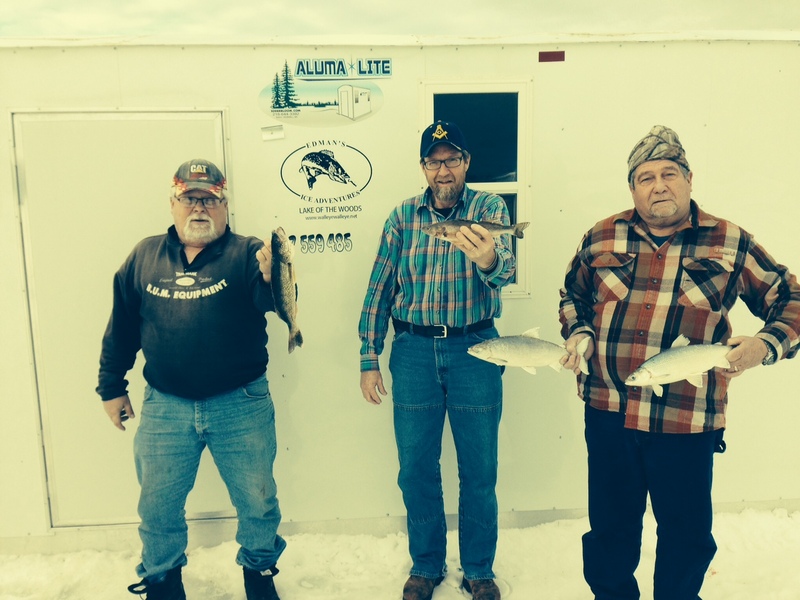 In spite of the rapid temperature changes, the fishing has still been good at the Northwest Angle. Over the weekend cold snap, the average walleye size went down a bit, with numbers still good and fish activity moving more toward morning and evening. Using a minnow on a dead stick in one hole and calling fish in with active jigging in the other is working well. In Ontario waters, the crappies are still active. Drilling lots of holes and moving from hole to hole to find the active fish has been the best tactic. 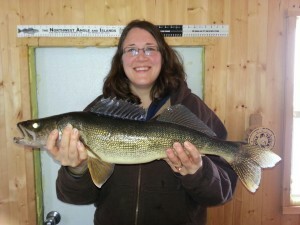 This week has seen an uptake of larger walleyes landed. Fish in the mid-twenties to over 30 inches have been active. Successful presentations have included the basic jig and minnow under a bobber to aggressive jigging tactics. The bite has been soft, though, and fast action rods with soft tips have worked well. Watch the tip load, then set the hook. Walleyes have been most dominant, with a few less sauger lately. The perch have been coming in small numbers, but have run in the 12-13 inch range. 20-28 feet has been best. Snowmobile trails are in the best condition they have been in all winter. Cool temperatures lately have not slowed down the fishing at the Angle. Slot fish and limits of nice eater walleye from 15-19 inches have been coming in. Saugers limits are happening as well, but need to be worked for a little more. 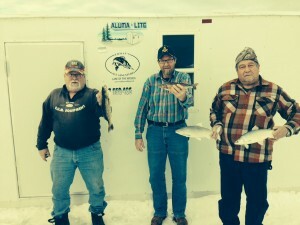 Some jumbo perch are showing up and northerns have been active. Productive depths are 18-28 feet in transition areas on the edges of the rock structure on the softer bottom. Jigging a glow in the dark bait has been good, but the plain hook and minnow has really been putting the walleyes on ice. Weekly snows have the lake trails in good condition and the mainland trails are in great shape too. Watch out for monster pressure ridges on the lake and possible detours to cross them. Ontario reports have solid with a good walleye bite between 20-30 feet and crappies in the 25-35 foot range. The fishing has been great in the Little Traverse Bay area. Limits of walleye are being caught and saugers as well. A variety of basic jig and minnow setups under a bobber have been doing well at a variety of depths from 18-28 feet. Active jigging with a buckshot spoon in glow in the dark and a minnow head or tail has been a good producer as well. Trail conditions have been good for snowmobiling in spite of recent warm temperatures. The action has varied a little from day to day at the Northwest Angle. One day, action will be hot and the next day will be slower and then good again the next day. Overall the report is good. There is a mix of eaters and slot fish being caught. 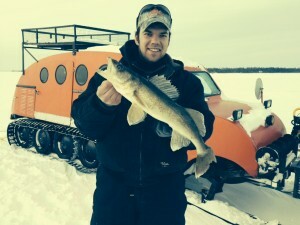 Walleye has been dominating the catch lately but saugers are still being caught and their size has been good. Lipless crankbaits like the Rapala Rippin Rap and Salmo Zipper tipped with a minnow head have been working well for aggressive fish. Tulipee are showing up quite a bit as well as the eelpout. Both are good eating if prepared properly.